June is a wrap! I can’t believe June is already over — where has the time gone? Fortunately, July is here and that means YALC is around the corner! How is my YALC TBR going? It’s best to just not ask. I managed to read a whopping 13 books this month! I feel like I’m spending more and more time reading, which is great! I also may or may not have been spoiled for my birthday with books and giftcards, so I still ended up bringing in more books than I read this month. You know what? This is my brand. I am on brand. Including The Little World of Liz Climo because it’s so freaking cute. Reviews for all these books are coming up if they aren’t already live! I actually am reading so much that I need to increase my review posting schedule. Yikes. The best books this month were easily Ravencry, City of Blades, The Light Over London, and Every Heart a Doorway. I’m not allowed to review Author Sister’s marvelous book, but I can safely say that even if I weren’t massively biased I would love it. Go preorder it. Seriously. I ended up being a little disappointed by both The Woman in the Window and The Hazel Wood. My review for The Woman in the Window is live — go check out the link for my thoughts. The Hazel Wood started out incredibly strong and ended up derailing itself a bit. Keep an eye out for my review coming soon. Can you tell I went to a Joanne Harris event this month? She did an event at Waterstones and I went with Judith from Chain Interaction and one of my other friends! We had a marvelous time and got to chat with the lovely Joanne. I’m in awe of her storytelling ability and general kindness. What a freaking great month for book post! Can you believe all the great stuff that has come through my letterbox? I’ve implemented this six-week policy for all my review copies — I have to read and ideally review them within six weeks of receiving them — and it’s going great so far. I still have a long way to go before I read this pile down, but I am making progress! July promises to be an amazing month. Not only do I get to go on holiday again (!! ), I’ll be meeting Becky Chambers twice, I’ll be going to an event that Orion is throwing in London, and YALC comes at the end of the month. Reading? Who has time for that? How was the month of June for you? 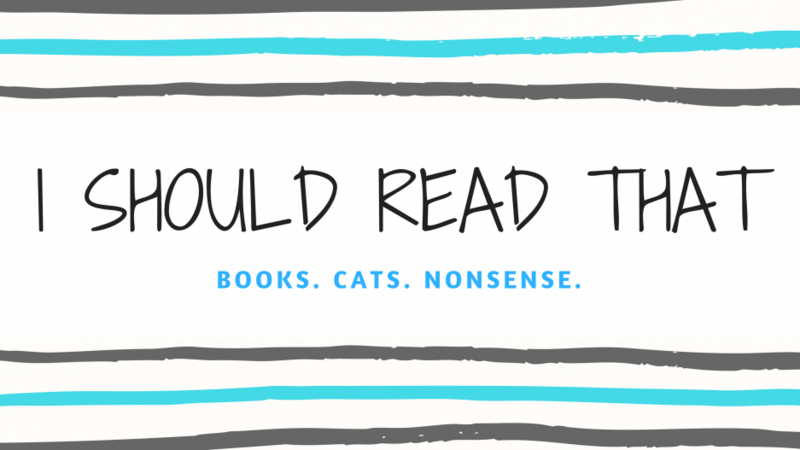 Did you read anything great? Did you buy any shiny new books? Justine…does YALC not count in a no buy July? Or are you going to demonstrate herculean self-restraint? OOOH! Are you going to the Waterstones Becky Chambers event? I will also be there!! Ahhh! I will be there too 😀 I cannot wait!